Wynn Macau’s signature Chinese restaurant Wing Lei is a stunning restaurant offering high-end, classic Cantonese cuisine, featuring both regular and seasonal menus. 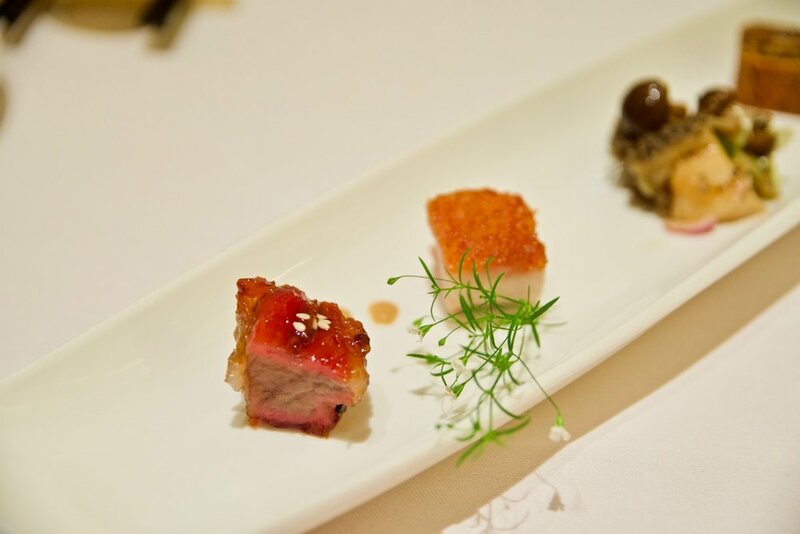 The proud recipient of the prestigious Michelin-star award for nine consecutive years and Forbes Travel Guide Five Star restaurant award for the second time in a row, Wing Lei pleases guests with its sophisticated take on classic dishes that are repackaged into appealing sizes and portions. Wing Lei’s décor is an evocative blend of traditional and modern Chinese design characteristics, touched with a Western influence through a palette inspired by Vincent Van Gogh’s painting Sunflowers. Yellow with touches of flame coral in a sea of creamy textures, the room exudes masculinity with elements of sparkle, glowing in colour and light. The iconic Moon Gate welcomes guests, while heroic-scaled Cloisonné horses add a touch of drama. Immediately visible upon entering the main dining room, the centrepiece of the restaurant is an iconic flying dragon composed of 90,000 Swarovski crystals and individual blown glass elements. The dragon symbolizes happiness, luck, and activity, main themes that are carried throughout the entire Wynn Macau resort. Hundreds of tiny lights illuminate the sculpture, bringing life to the undulating creature. The flooring is based on a fret design from a Ming dynasty screen, while the polished chrome of the wall lights and mirrored surfaces enhance the texture and beauty of the space. The team of chefs at Wing Lei draw inspiration from Japanese and European cuisine to offer a menu that caters for the discerning palate. 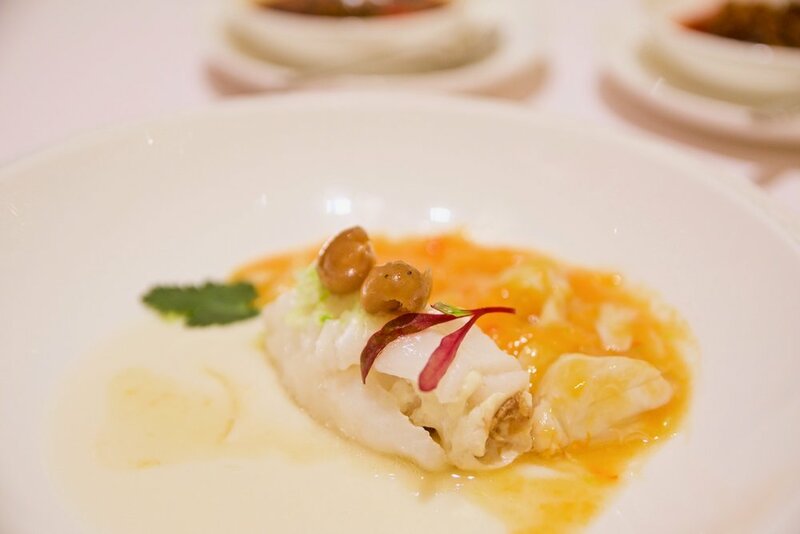 A delightful array of dim sum, barbecued dishes, soup, abalone, and main courses offer a gastronomical experience, prepared by the dedicated team of professional chefs and customer services staff. We loved tasting our way through the menu. Top picks include the delicate steamed prawn dumplings, Tea-smoked crispy chicken and Barbecued Pata Negra pork with maple syrup. The restaurant’s famous baked barbecued pork buns with sweetened crust met our expectations admiringly. Think beautiful melt in your mouth pastry that is both fluffy and light encasing moreish barbecued pork. Simply sensational. For something lighter and a bit left off centre, the Steamed cod fish roll with preserved tree seeds is a thing of beauty. Wonderfully delicate and subtle. Apart from Wing Lei signature dishes, the Wing Lei Signature Tea and the XO sauce are items that set this restaurant apart. The Wing Lei Signature Tea is a unique blend available exclusively at Wing Lei. It combines a mixture of flowers, fruits and different types of tea leaves while the XO sauce for each table is a house-blend of high quality ingredients and is an excellent addition to the dishes (or even to enjoy on its own! ).